The Page 69 Test: "The Missing Place"
Sophie Littlefield grew up in rural Missouri and attended college in Indiana. She worked in technology before having children, and was lucky enough to stay home with them while they were growing up. She writes novels for kids and adults, and lives in Northern California. Colleen bit her lip, trying to figure out how to handle this. She’d known Shay less than twenty-four hours and she already could trace the arc of her volatility. And it was easy to imagine that in whatever low-paying job Shay worked, conflicts were probably settled with direct confrontation. 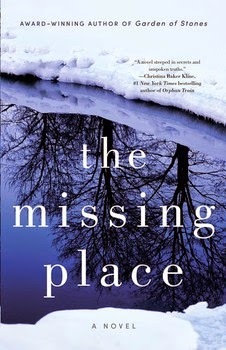 The Missing Place tells the story of two vastly different women brought together in a search to find their missing sons. They are challenged by their ignorance of each other’s worlds, as well as by the judgment each carries. Colleen, a wealthy and suburban East Coast stay-at-home spouse, has never faced the day-to-day challenges that Shay has to keep her household afloat and the bills paid. And Shay, who finds her comforts where she can, finds Colleen pampered, incompetent, and wearying. Colleen values tact; Shay barrels through life, acting first and apologizing after. Some readers have found these two women unsympathetic as they try each other’s patience while searching for the truth. But I was attempting to depict mature American women without varnish or softening. Their conflicts eventually turn to strengths as they learn to trust each other, and join forces rather than standing in each other’s way. Learn more about the book and author at Sophie Littlefield's website and blog. The Page 69 Test: A Bad Day for Sorry. The Page 69 Test: A Bad Day for Pretty. My Book, The Movie: A Bad Day for Pretty. The Page 69 Test: Aftertime. My Book, The Movie: Aftertime. The Page 69 Test: Garden of Stones. "White Tiger on Snow Mountain"